Ben has more than 16 years’ experience in the environmental consulting industry advising major mining, oil and gas, infrastructure, government and private clients. He has extensive experience in groundwater resource assessment and investigation, physical hydrogeological and aquifer testing, contaminant hydrogeology and hydrogeochemistry, fate and transport modelling and natural attenuation monitoring, numerical flow and contaminant groundwater modelling, groundwater remediation solutions, mining hydrogeology including baseline characterisation, environmental impact assessments and mine dewatering, wastewater re-use, landfill assessments and leachate modelling. Other groundwater modelling experience includes contaminant transport and decay modelling of organic pollutants, particle transport modelling, and impact modelling associated with wastewater storage, re-use and irrigation schemes. Ben has a PhD in Hydrogeology and his areas of hydrology experience include water balance modelling using Opsim and Goldsim for modelling of mine water process circuits, water supply reliability assessment, including the effects of climate change. FEFLOW, 2017 Groundwater modelling with FEFLOW, DHI. Ben served as lead hydrogeologist for the Comprehensive Investigation of per- and polyfluroralkyl substance (PFAS) at RAAF Base Tindall involved review of data from a wide range of sources to conceptualise the pathways and receptors associated with PFAS impact from several sources at the site. A detailed SAQP addressing identified data gaps in all source areas was developed and presented to stakeholders for comment. The site investigation is underway to characterise the potential health risks to human health and ecology posed by legacy PFAS contamination. Multiple approaches are being adopted to understand the relative risk associated with PFAS from each area, including numerical modelling using MODFLOW with MODPATH. This major infrastructure redevelopment project required groundwater characterisation and numerical modelling to support the audit process required for redevelopment of the site into a major hospital facility. The complex site geology was investigated including drilling, sampling and analyses, aquifer testing, and assessment of natural attenuation processes for contaminants in the groundwater. A complex numerical groundwater flow model was developed and calibrated for the site. The model was used to simulate contaminant transport and predict development of plumes. Contaminants of concern that were modelled include petroleum hydrocarbons, benzene, naphthalene and arsenic. The desktop review assessed available groundwater data, aquifer data, seasonal climate data and tidal data to assist in understanding the shallow groundwater system and further identify mechanisms and groundwater processes that may be contributing to unpleasant odours identified. Operations at the smelter site over the last 100 years have resulted in groundwater contamination across approximately 90 ha. Nyrstar places a heavy emphasis on the recovery of contaminated groundwater and subsequent on-site treatment in order to reduce migration of contaminants to the Derwent estuary. An investigation of all accessible groundwater monitoring wells across the site was undertaken to improve the usability of the monitoring network. An additional 25 groundwater monitoring wells were installed to complement the existing network. As part of this project a groundwater monitoring plan was developed to align the monitoring of the recently installed wells with the site Environment Protection Notice, the site groundwater management strategy and the current monitoring methodologies employed at the site. Our work also included groundwater level measurement, groundwater sampling and aquifer testing and numerical modelling. The groundwater monitoring and characterisation project confirmed hydrogeological processes, interaction with surface water systems, identified sources of metal contamination and preferential contaminant pathways. Based on the results of the assessment remediation options were identified and feasibility level costing provided. A groundwater flow model was developed to simulate the effects of pumping from four quarry cells for the development of the Island quarry. The potential for pumping to impact on local groundwater users was investigated. Numerical modelling was undertaken to assess the indicative potential steady-state groundwater inflows to the basement excavation. The development comprises a multi-story building, with up to 20 above ground levels and 5 basement levels that extend to a total depth of 29 m below the existing surface. The basement construction extends ~23.5 m below the watertable. This assessment was undertaken using numerical groundwater modelling for the purposes of assessing hydrological impacts associated with construction and ongoing operational aspects of the Wyndham Harbour development. The concept design comprises a marina club and two-spine marina with floating berths, and a surrounding breakwater bund system. One of the main features of the design is an inlet which is to be excavated into the shoreline a distance of approximately 170 m, at an excavated RL of -2.5 mAHD. Partial or full lining of the inlet has been considered. Offshore excavation was also to deepen the marina to a depth of -3.5 mAHD. These scenarios were also modelled. This project involved undertaking a hydrogeological assessment, including groundwater numerical modelling to assess groundwater dewatering rates, and a desktop review of potential mitigation strategies/options for groundwater disposal, for the Officer town centre railway underpass in Victoria. The objectives of the groundwater study were to assess the indicative groundwater flow rates to an interception trench at varying depths and trench lengths, and to calculate subsoil drainage flows in order to estimate anticipated water flow rates to the wetland treatment system. A numerical groundwater model was used to simulate groundwater flow at the site at specified relative levels and to use the water budget method as described in the EPA Guidelines for Wastewater Irrigation to calculate subsoil drainage flows. The project involved groundwater modelling for the Baju Apartments development in Henley Beach to establish the likely range of groundwater drain flows associated with permanent dewatering of a constructed basement excavation. The aims of the study were to assess the hydrogeology of the site, the groundwater quality and in particular contamination status, the volume of water that could be expected to be withdrawn during the excavation and construction process and assess the potential disposal options of the extracted groundwater. City West Water required a groundwater review and groundwater modelling for the upgrade of the Jamieson Way Sewage Pumping Station located in Point Cook. The objective of this study was to assess the indicative ranges of groundwater flow at steady-state conditions to maintain the site to a suitable dewatered groundwater level. The scope of work included numerical groundwater modelling to simulate groundwater dewatering at the site. The project involved groundwater modelling for the residential development at 35 Albert Road Melbourne to establish the indicative groundwater drain flows associated with permanent dewatering of an excavated and constructed basement. Transpacific Waste Management Pty Ltd required hydrogeological services to assist with pumping test trials at seven landfill sites in Clayton/Clarinda and Brooklyn. The objectives were to constrain the hydraulic properties of the material within the landfill cells and to provide data that could be incorporated into the overall leachate feasibility assessment. This assessment involved an appraisal of the existing leachate storage/treatment facilities to determine whether they have sufficient capacity to manage the current volume and potentially generated volumes of leachate at the site. In order to make this assessment, a water balance was generated using data obtained from historical and current monitoring work at the site and other available data. The Hides Waste Management Area is a new development that will consist of a multi-cell landfill and associated infrastructure including incinerator area, truck wash-down and administration building. The landfill capacity is estimated at 250,000 m3. As part of the sites development a groundwater assessment was conducted to investigate baseline groundwater quality and to develop a conceptual hydrogeological understanding. The purpose of this assessment was to identify surface water systems that were at risk of leachate contamination and to identify suitable surface water quality monitoring locations. As a result, Ben conducted a desktop surface water assessment of Esso Highland Limited’s Hides Water Management Area. The landfill was identified as approaching capacity of the existing waste cells, therefore Surf Coast Shire (SCS) Council commissioned the design of a new landfill cell to extend the life of the landfill by around 10 years. EPA approval of the new cell required a leachate management procedure to be established and implemented prior to the commencement of cell construction. Ben completed a high level feasibility assessment of leachate management system options to assist in the progression of the new landfill cell. Specifically this included leachate volume estimation using a Hydraulic Evaluation of Landfill Performance (HELP) model based on available site specific data and identification of four leachate management options including a new leachate pond, connection of the existing leachate management system to sewer, onsite treatment of leachate via biological or chemical/mechanical means and offsite disposal. A cost-benefit analysis was completed to identify the preferred option, with key consideration for option implementation time to ensure no delays to the commencement of the waste cell construction. An assessment of land capability was conducted for each property within Yarra Valley Water’s Backlog program study area to understand the potential to contain and sustainably manage wastewater on-site. As part of this assessment a fit for purpose analytical method was developed for conducting desktop LCAs for properties where reticulated sewerage services have not been implemented. The desktop study identified the key study criteria. A LCA rating matrix was prepared, listing the key study criteria. The desirable site characteristics and features, and the associated constraints based on the setback distances detailed in the CoP (EPA Publication 893.1), for assessing the suitability for on-site wastewater dispersal were documented. The key study criteria were then quantified and graded into five classes with the higher rating representing the higher potential risk and greater management inputs needed to ensure that environmental degradation is minimised. Each key study criteria was then assigned a corresponding weighting to account for its relative influence and importance. The sum of each risk factor multiplied by its weighting determined the land capability value. The land capability categories fall within a designated and predetermined range. Flinders Council was investigating the feasibility of treating effluent and reusing wastewater from multiple sources on Flinders Island. The wastewater and effluent re-use project was initiated in response to the potential health, ecological and environmental risks associated with existing effluent discharge practices occurring on Flinders Island. Ben provided peer review of the Flinders Island Effluent Re-use Project Feasibility report and to discuss the requirements for implementing an effluent treatment lagoon system and associated wastewater re-use scheme on Flinders Island. South East Water Limited (SEWL) operates eight sewage treatment plants which are distributed throughout mainly rural locations in the Mornington Peninsula and the Western Port catchment. This experience, coupled with the use of sophisticated chemical modelling programs and innovative graphical presentation, enabled the team to effectively assess, analyse and present five years of collected data in a clear and comprehensive format to meet both SEWL and EPA requirements. The project comprised evaluating the basic design, key parameters and research requirements for the establishment of a baseline groundwater quality monitoring program for the Groundwater Management Units within Victoria. Stage 1 of the project reviewed the major sampling methodologies for groundwater parameters that are useful in identifying and investigating the major hazards and threats to the groundwater system (e.g. nutrients from septic tank leaks, agricultural pollution and urban contamination). The Department of Sustainability and Environment (now DELWP) required a groundwater snapshot of the major aquifers within Southern Victoria. The groundwater snapshot provided a benchmark for groundwater quality across Southern Victoria and helped to determine whether groundwater quality within the priority Groundwater Management Units had been negatively affected by the identified threats/hazards to the area. Ben was tasked with peer reviewing third party technical documentation and data management protocols for the Department of Sustainability and Environment since 2007 (now DELWP). The Department needed to obtain a higher level of assurance that maintenance of the State Observation Bore Network and data management activities associated with the SOBN were being conducted in accordance with the SOBN monitoring and maintenance contracts. TasWater were investigating the concentration, source, and behaviour of contaminants reported above drinking water guidelines in groundwater sourced town water supplies at Avoca and Winnaleah. Ben undertook a detailed assessment of the groundwater quality and estimated aquifer hydraulic parameters at each of the pumping bores supplying town water at Avoca and Winnaleah. Due to time and cost restraints this included conducting 7 day pumping test at each site (some 115 km apart) simultaneously. The field program involved taking daily groundwater samples and monitoring pumping and groundwater levels at both sites, and the daily transport of samples to the nearest major town (Launceston) for couriering to Melbourne for laboratory analysis within 48 hours. The 7-day pumping tests were assessed to determine the hydrogeological attributes of the aquifers targeted by town water supply (hydraulic conductivity, transmissivity, storativity). This information, in conjunction with groundwater quality results from samples taken throughout each pumping test, was used to determine the effects of long term pumping on the quality of town water supplies, as well as the likely sources (both anthropological and naturally occurring) of contaminants of concern. Consistency in approach to identify/quantify risks to drinking water quality. Understanding the contaminant sources, catchment activities and proximity to watercourses, storages and intake points. Re-assessing the risks to the 16 priority drinking water catchments. Ben managed a four-stage process which included a desktop review, a 35-day ground truthing program, risk assessment and generation of a GIS database. Identified contamination sources and hazards within each catchment. Assessed the level of risk to drinking water quality. Outlined recommendations for improved environmental performance, and to further address the high-risk sites. By handling all aspects of the priority catchment sanitary surveys including GIS and data management, the solution delivered high value for TasWater and a framework that can be implemented across the remaining drinking water catchments in Tasmania. Ben completed an assessment of land capability for each property within Yarra Valley Water’s Backlog program study area to understand the potential to contain and sustainably manage wastewater on-site. As part of this assessment a fit for purpose analytical method was developed for conducting desktop Land Capability Assessments (LCAs) for properties where reticulated sewerage services have not been implemented. The desktop study identified the key study criteria that may impose constraints on the application of treated wastewater to land. A total of eleven key study criteria were identified and adopted for risk modelling. An LCA rating matrix was prepared, listing the eleven key study criteria. The desirable site characteristics and features, and the associated constraints based on the setback distances detailed in the Code of Practice (CoP) (EPA Publication 893.1), for assessing the suitability for on-site wastewater dispersal were documented. The eleven key study criteria were then quantified and graded into five classes with the higher rating representing the higher potential risk and greater management inputs needed to ensure that environmental degradation is minimised. Each key study criteria assigned a corresponding weighting to account for its relative influence and importance. The sum of each risk factor multiplied by its weighting determined the land capability value. The land capability categories fall within a designated and predetermined range. Brown and Tomkinson Pty Ltd on behalf of VicUrban required a review of groundwater related issues for a proposed subdivision located at Cardinia Road in Officer. The purpose of the review was to consider the likely issues and hydrogeological constraints associated with shallow saline groundwater at the development site and to comment on the mitigation measures or available, with particular regard to the ongoing future management of the site. GEMCO were investigating the potential to mine manganese ore from leases located within strategic quarry areas on Groote Eylandt, located in the Gulf of Carpentaria. As part of the mining process the quarries would require dewatering to specified dry levels. An extensive investigation was completed to underpin water management and drive the necessary environmental approvals process. To address these challenges Ben developed a staged water management investigation that including targeted field investigations including aquifer pumping tests and numerical groundwater modelling. The program addressed the key objectives of the study. These were to investigate the hydrogeology of the mine region, to assess the impacts of mining activities on the groundwater and surface water systems, and to provide estimates of quarry dewatering rates. The field program required installation of 32 groundwater investigation and monitoring wells and conducting two 48-hour constant rate pumping tests to determine aquifer characteristics. In addition, two groundwater sampling events took place to establish the dry and wet season baseline conditions. Based on the outcomes of the field assessments, we were able to develop a detailed site conceptual model and numerical model to predict the potential impacts on the environment due to dewatering. The completed numerical modelling and water management study has supported subsequent management and impact assessment studies completed across the site that are required to expand operations and achieve project approvals. The Traditional Owners of Groote Eylandt expressed concerns that the ongoing dewatering of the mining pits may have a negative effect on the Angurugu River, in particular increased sedimentation and silting and water discolouration as a result of reduced river flows. The main concern is that mine pit dewatering is reducing baseflow to the Angurugu River and in turn reducing river flows. Ben managed these investigations and confirmed whether these changes were due to GEMCO mining activities and/or environmental and climatic factors using various techniques. Ben lead a feasibility assessment of the in-pit Tailings Storage Facility at the Iron Baron site located near Whyalla, South Australia. The scope of works included desktop review, a site field visit, and numerical groundwater modelling of impacts to groundwater. OneSteel propose to deposit benign tailings in the Big Baron Pit, located at the site. The slimes tailings are the rejects solids from processing iron ore bearing mine waste. Potential groundwater issues include impacts that could arise from seepage of water from tailings in the pit. OneSteel owns and operates a series of iron ore mines in the Middleback Ranges located west and southwest of Whyalla. In 2005, OneSteel embarked on a major expansion initiative known as Project Magnet, which was designed to extend the Whyalla operations to beyond 2027. Baseline data review and assessment. Potential mine groundwater / surface water impact assessment (risk-based approach). Transient groundwater modelling using Modflow was used to investigate the potential hydraulic impacts to regional groundwater surfaces resulting from water storage and the development of in-pit tailings storage facilities. Recommendations were made for installation of groundwater monitoring networks, monitoring frequency, and parameters to be monitored. Ben supervised the design and installation of a preliminary groundwater monitoring network (including drilling and groundwater well installation, sampling and testing up to 170m in depth) at the Iron Baron mine, enabling invaluable advice on the development of the in-pit TSF at the site. The aims of the study were to investigate the potential for the Iron Duchess and Iron Knight South pits to be used as water storage facilities and to provide an initial assessment of the potential effects of the planned water storage (i.e. volumes stored, seepage rates to groundwater, and groundwater mounding). This involved investigating pit geology and structure, investigating groundwater levels and water quality in the pit areas, identifying aquifer parameters, identifying potential groundwater discharge areas in the site vicinity (e.g. springs, wetlands) that could be impacted by potential changes to the groundwater system and conducting groundwater modelling to assess impacts, such as groundwater mound development and dissipation; and, evaluating impacts to creeks including runoff, sediment and overall impacts to water quality. Ben completed a number of desktop hydrogeological assessments for the Pine Creek, Cosmo Howley, Brocks Creek, Union Reef and North Point/Princess Louise gold mines. A desktop hydrogeological conceptual model was developed and an understanding for the potential for off-site migration and impact from groundwater into the creek and river systems was assessed. These documents formed part of a Notice of Intent to be submitted to the Northern Territory Department of Resources. Astron Limited required a groundwater resource investigation including a long-term aquifer pumping test at the Donald Mineral Sands project located near Donald, in Northern Victoria. The Donald heavy-mineral sand reserves are a significant mineral deposit located within the Murray Basin. Mineral processing in a heavy-minerals separation facility will require significant water, in the order of several gigalitres per year. Because surface water reserves are limited in Northern Victoria, and difficult or costly to obtain in reliable large volumes in the project area, Astron Limited plans to investigate the potential for groundwater as an alternative processing supply. Eyre Iron Pty Ltd required a baseline water study for a greenfields magnetite iron ore prospect (Carrow Project) located on South Australia’s Eyre Peninsula, approximately 6 km west of the Port Neill town ship. The baseline water study comprised an intensive desktop study together with field assessments which included well installation, groundwater and surface water monitoring and sampling and aquifer parameter testing. Groundwater numerical modelling was used to evaluate potential impacts and constraints relating to mine dewatering. Ben presented the surface water and groundwater impact assessment methodology, described the site environment and the environmental values in the region, identified potential impacts to the environmental values, and presented measures and options for avoiding or mitigating impacts. A requirement to undertake a groundwater technical study arose as part of the Definitive Feasibility Study Environmental Impact Assessment for the expansion of operations at the Nolans and Sarsfield Pits at the Ravenswood mine. The primary purpose of the groundwater technical study was to compile a baseline understanding of the groundwater system in the project area, which may be impacted by the expansion in operations. In addition the study aims was to provide an outline of potential strategies for monitoring and protecting groundwater during the operations. Water usage and wastewater disposal was also considered with respect to potential impacts to groundwater. This information was used to form part of the Definitive Feasibility Study Environmental Impact Assessment. To achieve approvals for a mine expansion, a comprehensive water balance was required to demonstrate water management to regulators. The challenge was addressed by undertaking a detailed site water balance modelling analysis using OpSim software to fully incorporate all aspects of the mine operations including process plants, thickeners, tailings storage, decant ponds and process water ponds. In addition, the model accounted for water supply from the Burdekin River via a system of transfer and storage. Our work program met the key objectives of the study. These were to demonstrate and forecast the expected water storage inventory under low, medium and high rainfall scenarios. The completed water balance modelling and ongoing updates have supported subsequent design for water management at the site and to achieve project approval. Project manager and lead hydrogeologist responsible for the design and establishment of a detailed surface water and hydrogeological assessment, at the Tailings Storage Facility for the Rosebery mine located on the west coast of Tasmania. The surface water component included development of a GoldSim water balance model of hydrological processes at the site. Ben managed an integrated groundwater and surface water assessment at a mining province in the Gulf of Carpentaria. This study aimed to understand the impacts of the mine expansion on vegetation at a significant cultural site. A gross water balance was established for the study, including the establishment of groundwater monitoring network and collection of site specific hydrologic data including groundwater elevation, hydraulic conductivity, groundwater quality and soil infiltration rates. Basin analysis and hydrological modelling was undertaken using Lidar elevation data, and surface water flow accumulation and direction were interpreted. An existing numerical groundwater flow model was also used to understand groundwater conditions. Estimates of sub-catchment areas, surface water runoff, groundwater recharge, evapotranspiration and throughflow were made to support the gross water balance and to broadly quantify water availability to vegetation in the study area. This data informed an assessment to identify potential impacts to soil water availability as a result of mine pit advancement, and to estimate the significance of the impact on vegetation. Project manager and technical hydrogeologist responsible for the delivery of the groundwater assessment component of the Environment Impact Statement for the Surat Gas Project. Ben evaluated the potential groundwater impacts due to coal seam gas extraction at the Surat Basin coal seam gasfield under development by Arrow Energy. The project area extends from north of Chinchilla in an arc shape through Dalby and Cecil Plains to Goondiwindi in the south and encompasses several petroleum leases and authority to prospect areas. Gas reserves within the Jurassic Walloon Coal Measures are targeted, with a current LNG train feed of 1.5 Mtpa contracted through the Fishermans Landing LNG plant development (located at Gladstone) and further projected development totalling 7.5 Mtpa. The need for the project arises from the growing demand for gas in the domestic market and global demand and the associated expansion of liquefied natural gas export markets. The objective of the environmental impact statement is to ensure that potential environmental, social and economic impacts of the project are identified and assessed and, where possible, identify how adverse impacts would be avoided. Marengo Mining Limited is proposing to develop the Yandera Copper-Molybdenum-Gold Project on the northern slopes of the Bismarck Range, Madang Province, Papua New Guinea. Ben was responsible for delivering the groundwater impact assessment component of the Environmental Impact Statement for the Project. 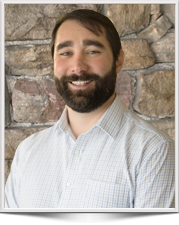 Ben was responsible for preparing the groundwater impact assessment component of the Environmental Impact Statement for the Arrow LNG Plant project. The groundwater impact assessment report was prepared to meet the Shell Australia LNG Project Terms of Reference for an EIS. The Shell Australia LNG Project was renamed as the Arrow LNG Plant. The groundwater baseline conditions in the Arrow LNG Plant study area and potential impacts to the groundwater systems were assessed. Mitigation measures were identified and residual and cumulative impacts of the project on groundwater resources were also assessed. Ben prepared the supplementary EIS for this major energy resource project. The scope of work also required address and prepare responses to the many public submissions on the EIS, and also the advice provided to the Qld government by the Independent Expert Scientific Committee for coal seam gas projects. Preparation of the supplementary EIS required that significant technical investigation was undertaken, including specialist studies into subsidence, faulting and structure. The WIM-150 heavy mineral sand reserves are located within the Murray Basin Tertiary sands. Mineral processing in a heavy-minerals separation facility will require significant water, in the order of several gigalitres per year. Because surface water reserves are limited in western Victoria, and difficult or costly to obtain in reliable large volumes in the project area, Australian Zircon plans to investigate the potential for groundwater as an alternative processing supply. Ben planned a staged groundwater resource investigation including aquifer pump testing and numerical groundwater modelling which was used to assist in establishing indicated sustainable yields. The project also included an EIS, supported by surface and groundwater assessment and baseline studies. Petrides B. & Cartwright I. (2003) The hydrogeology and hydrogeochemistry of the Barwon Downs Graben, Southwestern Victoria. Journal of Hydrogeology. Petrides B., Cartwright I. & Weaver. (2004) The evolution of groundwater in the Tyrrell region, south-central Murray Basin, Australia. In: Water-Rock Interaction, Cidu R (ed), Balkema, Rotterdam. Petrides B., Cartwright I. & Weaver. (2004) The evolution of groundwater in the Tyrrell region, south-central Murray Basin, Australia. 9th Murray Darling Basin Groundwater Workshop. Petrides B., Cartwright I. & Weaver. (2004) The evolution of groundwater in the Tyrrell region, south-central Murray Basin, Australia. 18th Victorian Universities Earth and Environmental Science Conference, Latrobe University, Victoria, Australia. Petrides B. & Cartwright I. (2004) The evolution of groundwater in the Tyrrell region, south-central Murray Basin, Australia. Journal of Hydrogeology. Cartwright I., Weaver T. & Petrides B. (2006)Cation-exchange as a control on Sr isotopes in groundwater from the south east Murray Basin, Australia. Geochimica Et Cosmochimica Acta. Cartwright I., Weaver T. & Petrides B. (2007)Controls on 87Sr/86Sr ratios of groundwater in silicate-dominated aquifers: South East Murray Basin, Australia. Chemical Geology. O’Farrell F., Petrides B., Lam D. & Richards S. (2011).Assessment of the relative contribution of different electron acceptors to hydrocarbon degradation under Australian conditions. Battelle International Symposium on Bioremediation and Sustainable Environmental Technologies,Reno, Nevada, USA.